I wasn't a fan of the previous Gone Nutty! Pop-Tarts which included Peanut Butter and Chocolate Peanut Butter flavors. 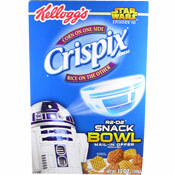 But I kind of liked these. 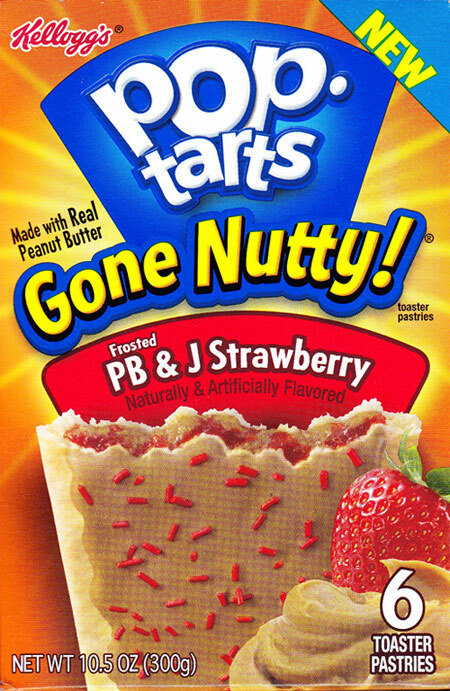 The complete name of this product is Frosted PB & J Strawberry Pop-Tarts Gone Nutty! As a star of it's own Pop-Tart, the peanut butter on it's own is generic tasting and unimpressive. But when it plays a co-starring roll with something fruity, it makes a lot more sense. 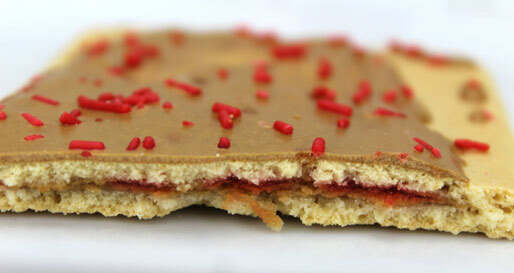 The presence of strawberry makes it easier to forgive that the peanut butter is less than amazing, The "jam" tastes a lot like the filling in a traditional strawberry Pop-Tart. For most of us, that flavor is terrific or at least gets a pass because it brings to mind memories of being a kid when anything sweets was tops. Like all toaster pastries, I suggest that that don't have them more than once a week. The nutritional profile of these Pop-Tarts is not great. With almost zero dietary fiber and about half of your recommended daily intake of sugar in each single pastry, these should be considered an indulgence. 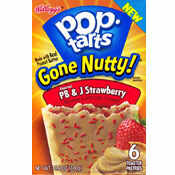 With that said, this variety of Pop-Tart is near the top of the list of new Pop-Tarts introduced in the last 5 years. If you're gonna have a Pop-Tart, I recommend that you give these a try. Nutritional Considerations: Each single Pop-Tart has 190 calories, 4.5 grams total fat (2 grams saturated and 0 grams trans), 0 mg cholesterol, 220 mg sodium, 37 grams total carbs, less than 1 gram dietary fiber, 17 grams sugar and 2 grams protein. What do you think of PB & J Pop-Tarts?